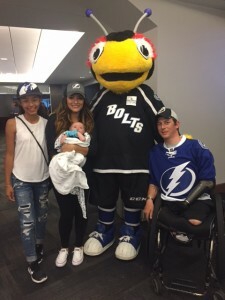 The Tampa Bay Lightning Make Warrior Wishes Come True! 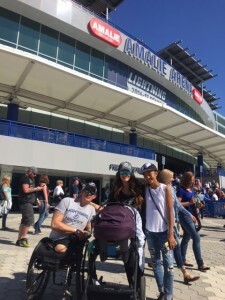 After making wishes come true at the Rays game and a 40 minute crosstown bus ride from St Petersburg to Tampa, it was time to make wishes come true at the 2nd game of our “DoubleHeader” at the Tampa Bay Lightning Game! 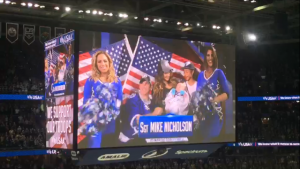 Today, we were honored to be hosting Marine SGT Michael Nicholson and his family at today’s Lightning game. Sgt. 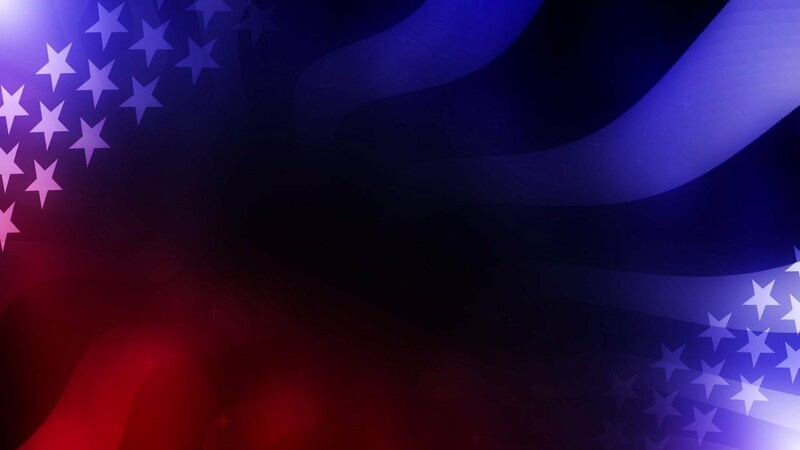 Nicholson was deployed to Afghanistan while serving in the Marine Corps. 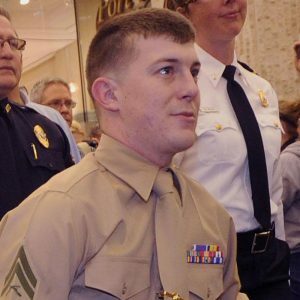 On July 6, 2011, while on a combat foot patrol, he was injured by an improvised explosive device (IED). Michael lost both legs and his left arm in the blast. He also suffered a severe brain injury. 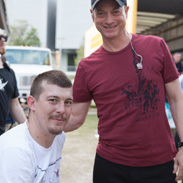 On January 9, 2014, Michael was given the keys and iPad to his new custom specially adapted smart home in Tampa thanks to the Gary Sinise Foundation. 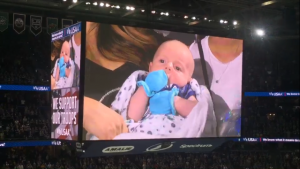 He & his family, including their 6 week old son, Sawyer, attended the game together. 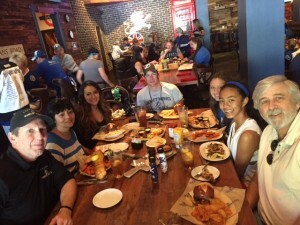 My dad met up with SGT Nicholson and his family for a delicious meal at Yeoman Cask & Lion before the game. Yeoman’s Cask & Lion is a British-style pub with a contemporary edge located in the heart of downtown Tampa. Located walking distance to many neighborhood attractions, including the Amalie Arena. Its a great place to have a casual lunch or dinner. With 2 fully liquor bars that feature over 100 craft beers, 20 on tap, and 2 cask ales, this pub is made for beer lovers. Make sure to stop by next time you’re in Tampa. My dad enjoyed getting to know the Nicholson family. 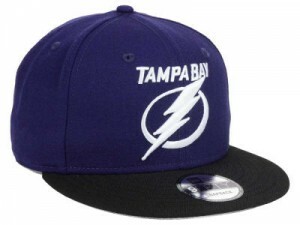 He presented them all with new Tampa Bay Lightning caps thanks to our friends at New Era. As game time approached, everyone headed over to Amalie Arena to pick up the tickets and get a few group photos in front of the the stadium. Today was gonna be special for Mike and his family as he will be recognized on the Jumbotron for his service & sacrifices as the teams Hometown Hero! 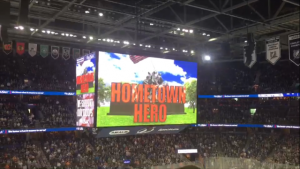 Midway thru the 2nd period, the Lightning scored to tie the game at 1 just before SGT Nicholson was about to be recognized on the Jumbotron. With the crowd in a frenzy, everyone was afraid Sawyer was gonna cry. But Luckily he had earplugs and he was ready to go as the Ceremony started. 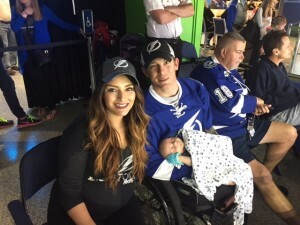 The Lightning shared SGT Nicholson’s story with the sold out crowd & announced that he & his wife recently welcome Sawyer into the world. 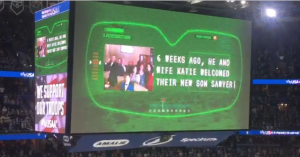 A close up of Sawyer displayed on the Jumbotron and then panning out to show his hero dad, Mike, and the rest of the family. The recognition and the standing ovation was over 2 minutes long! 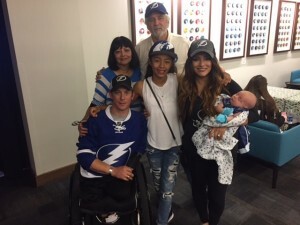 It was a special moment for an inspirational warrior and his family! The Lightning put the cherry on top of what was already an amazing day when they scored the game winning goal with under 3 minutes left to play! They added an empty net goal with 1 second left to secure the 4-2 victory over the Sabres. 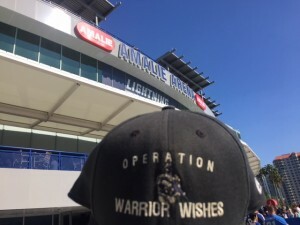 Operation Warrior Wishes would like to give special thanks to the Tampa Bay Lightning for working with us to provide an unforgettable day & experience for SGT Nicholson & his family! We also would like to thank George from Yeomans Cask & Lion for the great pregame meal and New Era for the Tampa Bay Lightning caps! Most importantly, THANK YOU CPL NICHOLSON , for your service and sacrifice to our country! It was an honor to host you & your family. Thank you for never giving up & being a true inspiration! 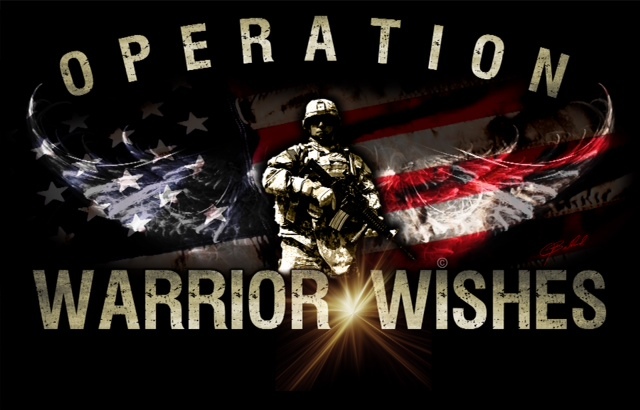 We look forward to seeing You again at the end of June at this year’s Warrior Games in Chicago! 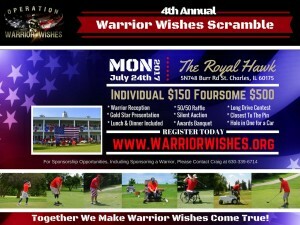 We also hope to see him at our 4th annual Warrior Wishes Scramble! 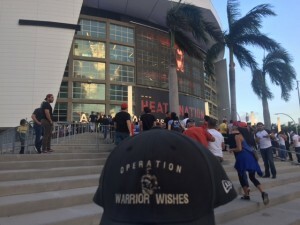 My dad is off on another overnight bus to make Warrior Wishes come true at tomorrow nights Miami Heat game! Stay tuned for more details! 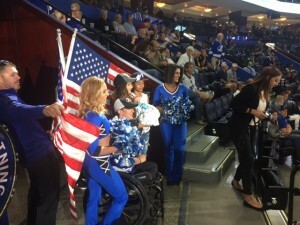 The Tampa Bay Rays Make Warrior Wishes Come True!